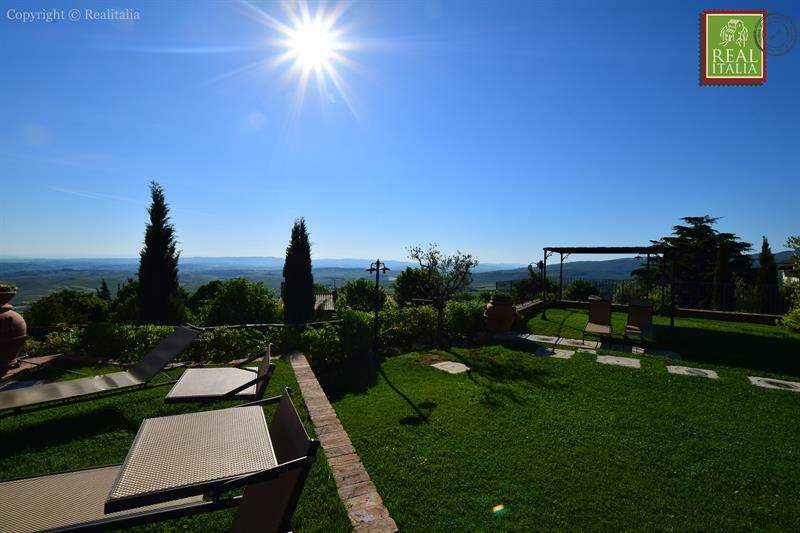 3 bedroom semi-detached house over two floors, with private entrance and garden, overlooking the valley with its cultivated fields and Volterra. 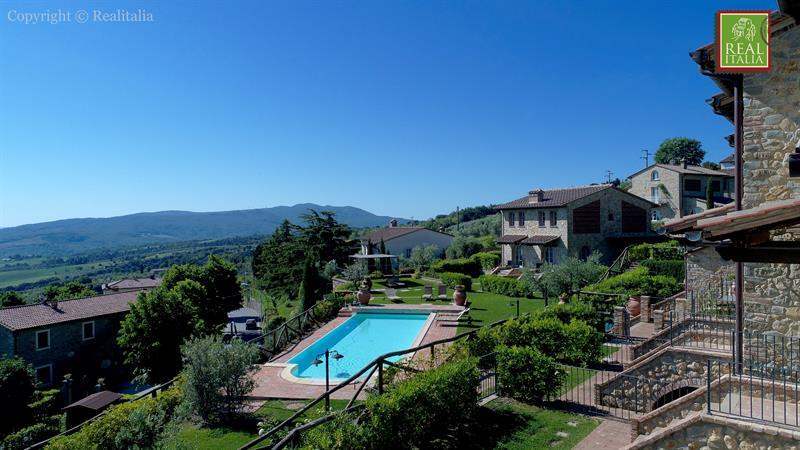 Communal gardens and heated swimming pool are directly accessible from the property. 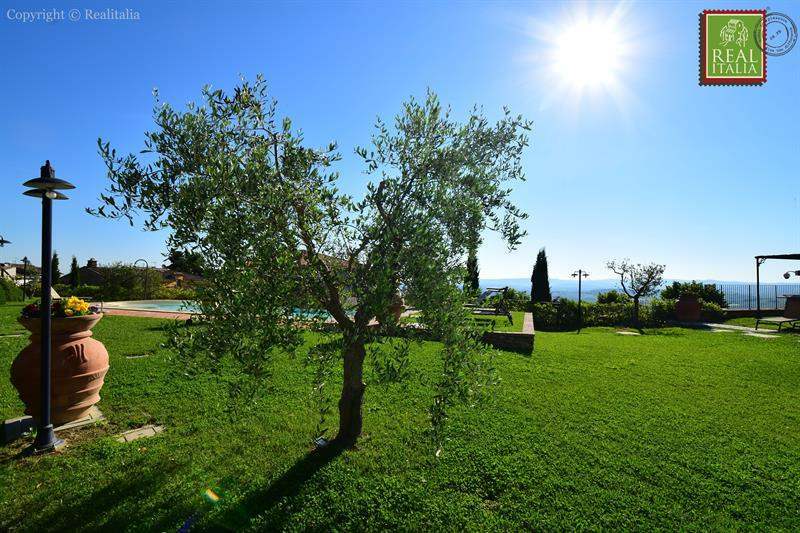 Pino is a semi detached house over 3 floors with panoramic views a private large garden and direct access to the comunal pool. On the ground floor is the living room, dining area and open plan kitchen. The first floor hosts the main bedroom, bathroom and second bedroom. The lower ground has a very large 3 bedroom with ensuite bathroom. 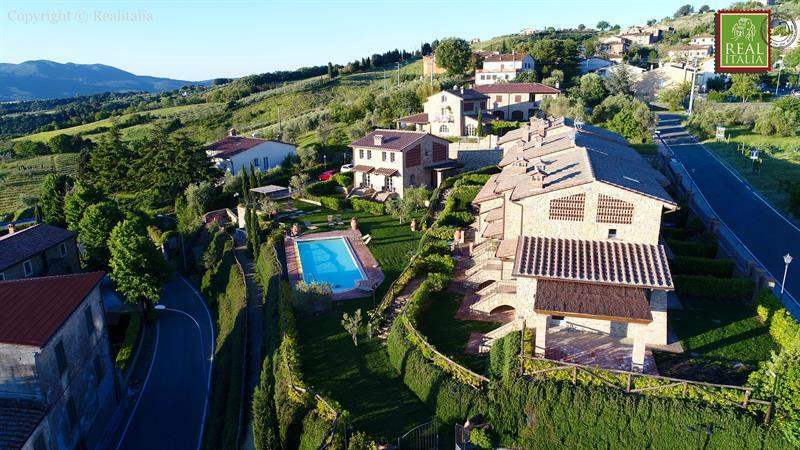 With Pisa airport just 30 minutes away along quiet country roads and surrounded by the picturesque Tuscan landscape, Chianni is a pleasure to reach. 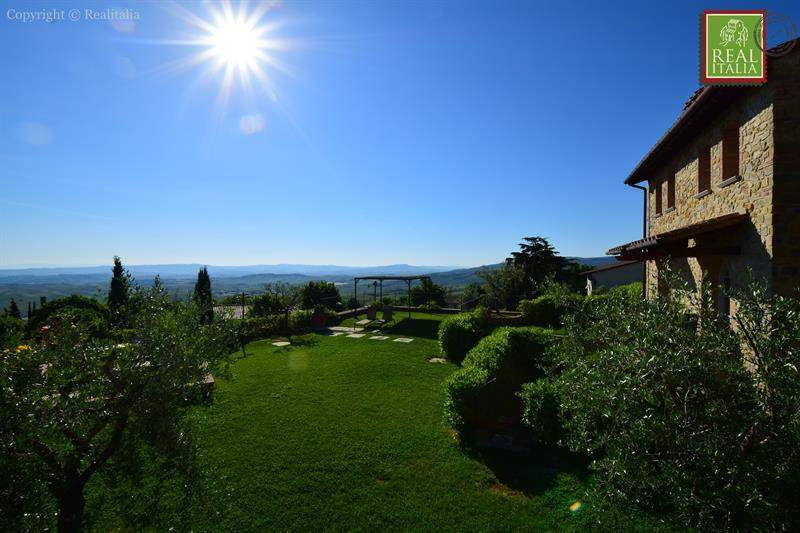 Chianni is a medieval village with several excellent restaurants reachable on foot from the properties. A handful of charming local shops where you will soon be greeted by name can supply you with all your needs. 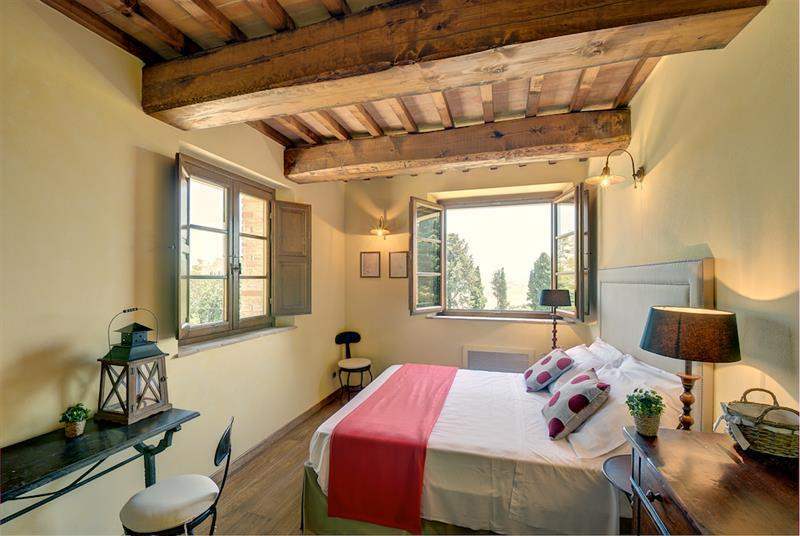 A cosy hotel de charme in an old restored building on the central square of the Village offers and indoor pool and sauna/turkish bath facilities. 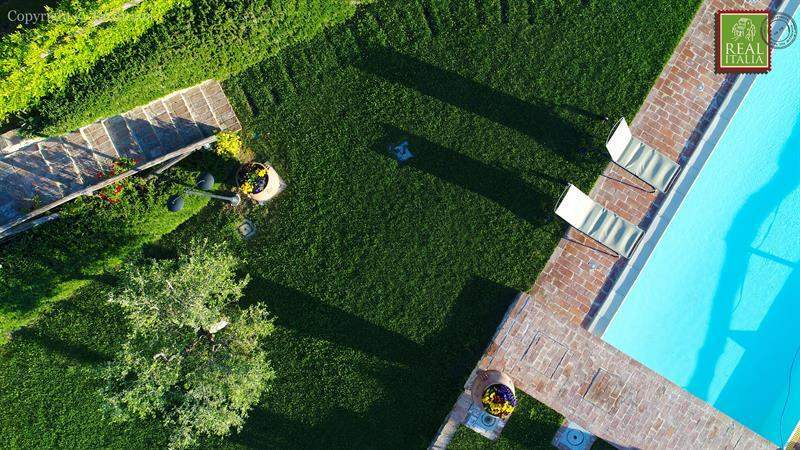 Horseriding and golf facilities are not far away by road, while the tennis club is at 2min walking distance. In addition if you feel like a relaxing day at the beach, you will find several nice beaches at half an hour driving distance. 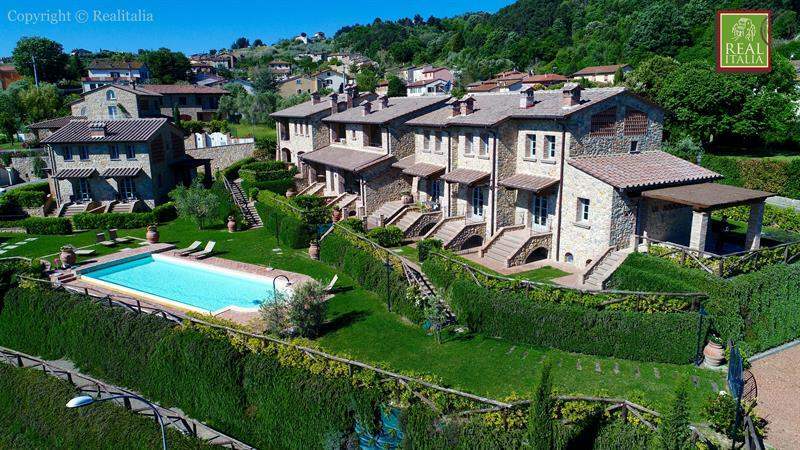 In winter, why not luxuriate in the salt-rich volcanic waters of nearby Casciana Terme, famous since the Middle Ages as marquess Matilde di Canossa's favourite place to unwind. 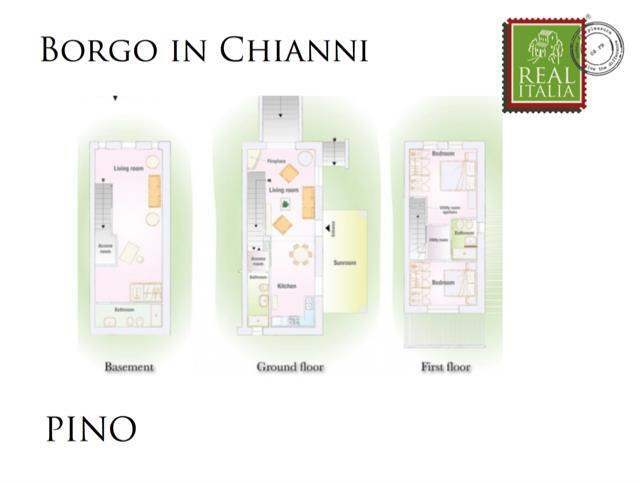 Chianni lies directly on the wine route. 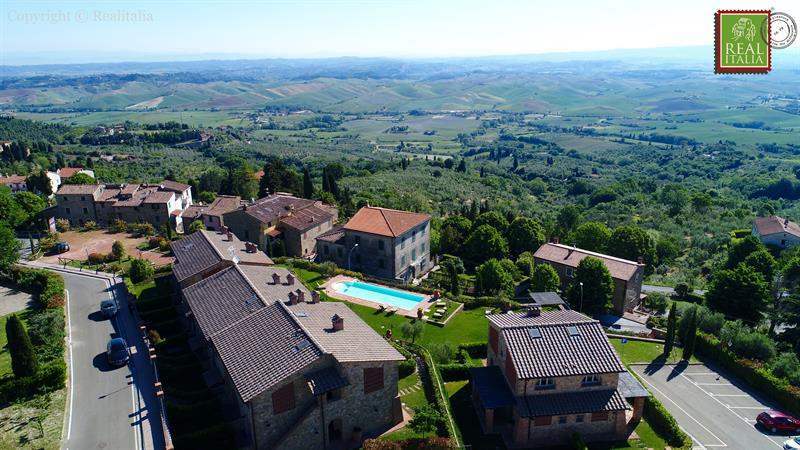 The local Valdera area is known as the Chianti Pisano because of the many excellent wine producers to be found among its rolling hills. Chianni itself is a historical little tow, was founded by the Etrurians and the church, San Donato, dates back to 1275. 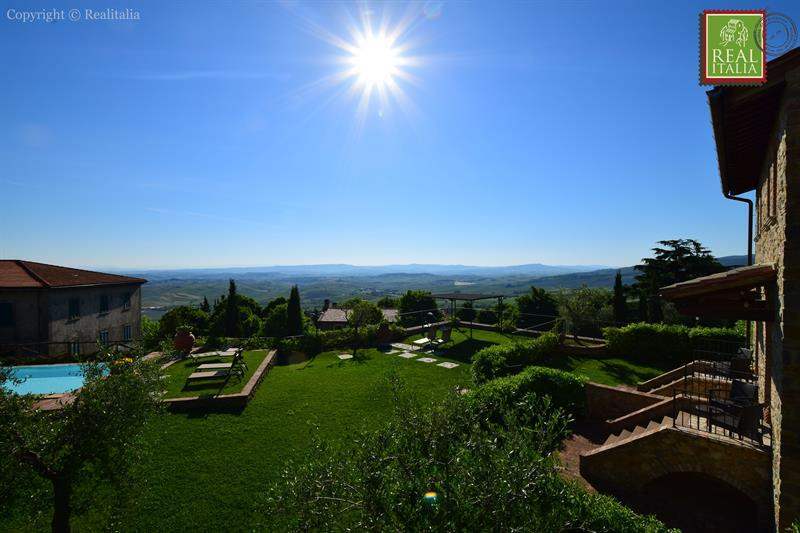 If you want to explore further afield, Florence, Pisa, Siena, Volterra, San Giminiano and Luca are all less than an hour away you could even pop over for lunch or dinner. 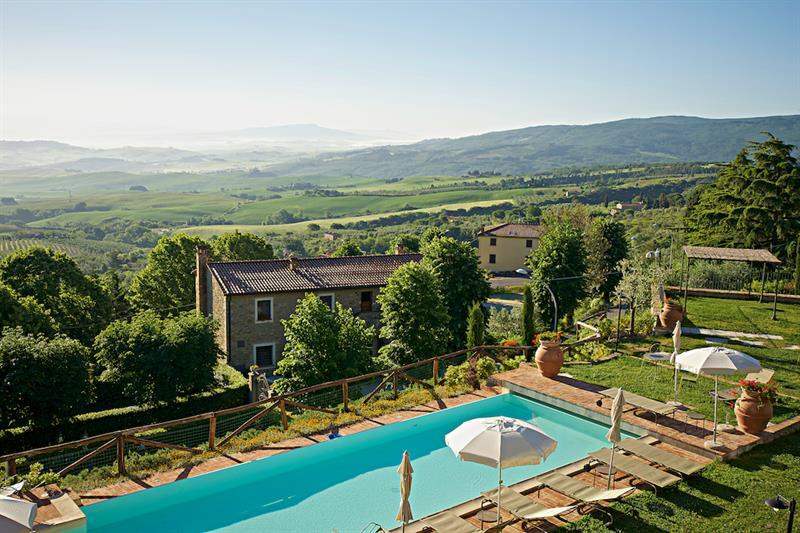 No other part of Tuscany offers such a conveniently central location or such easy access to all these destinations. 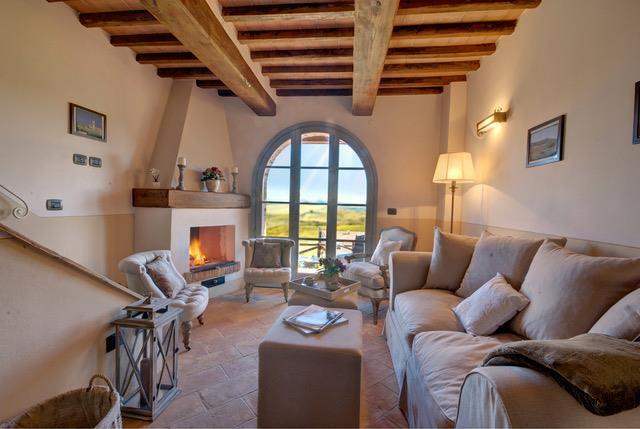 Realitalia is a UK company specialised in restoring old properties in Italy and has won many international awards. 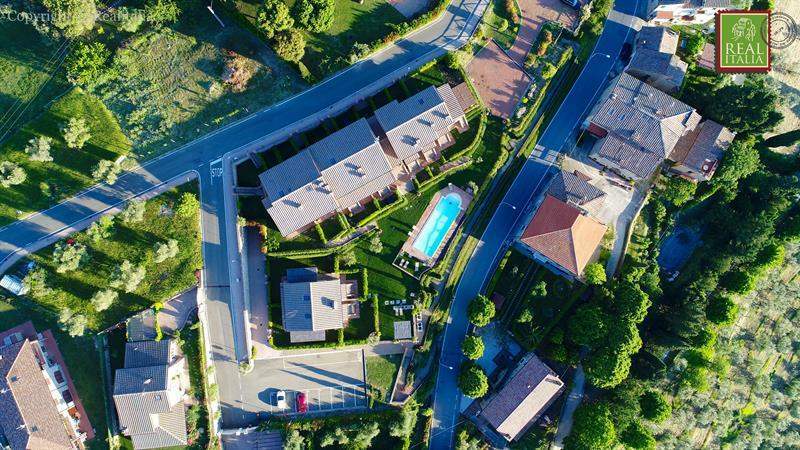 You buy directly from us so no agent fees need to be paid and we offer you detailed information of the project a third person could ever provide. Our assistance in English, Italian, German and French and we offer the possibility of personalisation of your future home, interior design and furnishing. 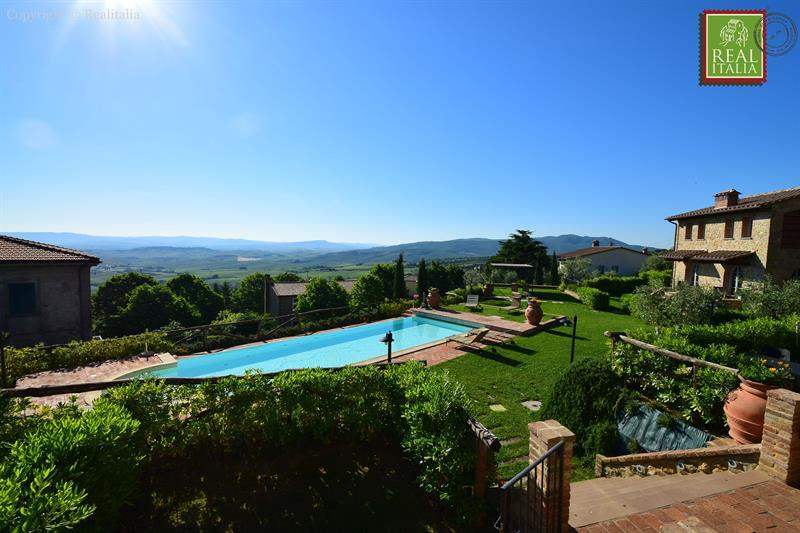 We have 15 years experience in helping foreigners buy in Italy providing assistance throughout the whole process.